“How could anyone get rid of books?! ?” I asked my husband incredulously. We were newly married and looking through books at a garage sale. I love books. I have a degree in English and just couldn’t imagine parting with books! 12 years and four kids later, I get it a little more. I find myself wanting to get rid of books. I haven’t actually taken the plunge, but I think about it. Why? Because of space. I used to go to a used book store where you could load up on books for very, very cheap and just take any children’s book that looked mildly interesting. Now, however, our book storage space is at capacity, and if there wasn’t such thing as Kindle and eBooks, we would be needing to get rid of books ourselves. 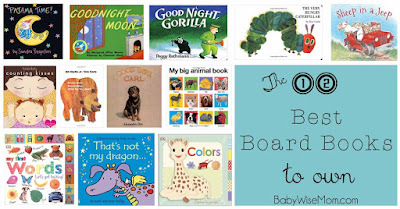 With that in mind, I wanted to make a list of board books that I would never get rid of and would definitely buy again if I were starting all over again and wanted to save space. Here they are for you! This post contains affiliate links. Really, you can’t go wrong with anything by Sandra Boynton. They have several boxed sets for her. Brinley probably liked Pajama Time as one of her best among those books, but again, you can’t go wrong with any of them. You must have at least one of her books in your collection. Yet another author who is a must-have addition to your library. She has a lot of cute ones about the love between parents and baby. She also has fun lift-the-flap books and counting books. Any one of them is a great purchase. This is a classic among the board books. It is written in poem and has interesting illustrations that vary from color to black and white. It is a soothing book that really preps your little one for sleep. This is a cute story that my good friend gave Brayden for his first birthday. She is a teacher, so I knew it would be a good one. Most of this story has no words. Wordless books are fantastic for helping develop story-telling skills, so this is a must-have book to add to your library to be sure you have a wordless picture book. This was McKenna’s absolute favorite book when she was a little one. This one is fun because it teaches both colors and animals. This is another book that is primarily a wordless picture book. This book is silly yet endearing, where a dog is left to babysit the baby. They have many fun adventures together. This is yet another classic book. This one adds learning days of the week as well as the science lesson about caterpillars and metamorphisis. This one does not matter so much this exact board book, though this is a great one, but the fact that it is a book with pictures of real animals. That is so valuable to a toddler or preschooler. They also LOVE books with pictures of real animals! So be sure you have one in your home library. This is one that can almost seem silly. Board books with the character based off of the favorite teething toy?!? Marketing at its finest. But the books are great. We have several and really like them all. These are fantastic books. They are touch and feel books and you can find them on just about any animal or love your child has. Dolls? Yes. Mermaid? Definitely. Dragons? Of course. Check out the many options and find one that suites your child. This is another where I am not set on one certain book. DK in general often has fun books, board books or picture books alike. This one linked is great for just learning lots of different words. It is a great way to build vocabulary. But look at all of their options. For example, they have a tractor one, a color one, a numbers one, a farm one, an animals one…lots of good things. 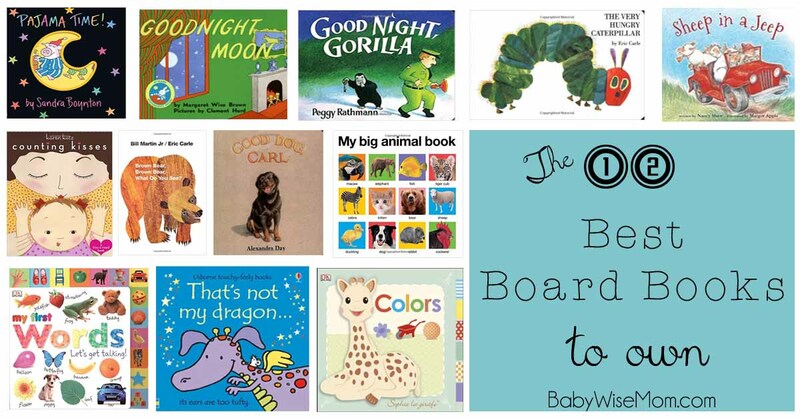 Some books are family favorites that they have in made into board book form. That is great for little hands who might rip books. Sheep in a Jeep is a great examples of that. Others, like Ladybug Girl, take beloved characters and creat new adventures. What are the must-haves in your home library?